There are several things you can do to make your product stand out on the shelf, investing in cool packaging is one of them. Unfortunately, considering how to label this attention-grabbing packaging is often an afterthought. Here's how tapers function and ways labels can work with your bottle's shape instead of against it. According to Dictionary.com, tapering is the "gradual diminution of width or thickness in an elongated object." In other words, tapering is when an object isn't perfectly cylindrical. Instead, it may be conical. Imagine the standard-shaped shampoo bottles, vases, and coffee cups you come into contact with every day. They all have one thing in common: wider tops than bottoms, or bottoms than tops. How do I know if my bottle or container is tapered? You can conduct the following test to find out if your container or bottle will need a tapered label. First, set your packaging against something completely straight or flat. The easiest option would be to lie it down on the table. You can also stand it up next to a ruler or flat object. If at any point the bottle or container isn't touching or flush with the straight edge, or if the bottom is flat but the top is not, it's tapered. Are there different types of tapers? Regrettably, no two bottles are the same, meaning there isn't a "standard" taper or tapered label template. For this article, we're going to cover the most common type of taper: the cone. Some examples of cone-shaped bottles and containers are plastic cups, yogurt containers, and trash cans. Not included are bottles with necks such as wine and beer bottles. What happens without tapered labels? When you try and label a tapered object with a full-size, straight label, you're bound to get a less-than-ideal result. You could end up with a diagonal slant at the end of your label or you'll experience "flagging," an industry term for the creasing that occurs when a label doesn't fit properly. Neither of these options are good representations of your brand and they're probably not the way you want to present your product to consumers. How do you label a tapered container or bottle? 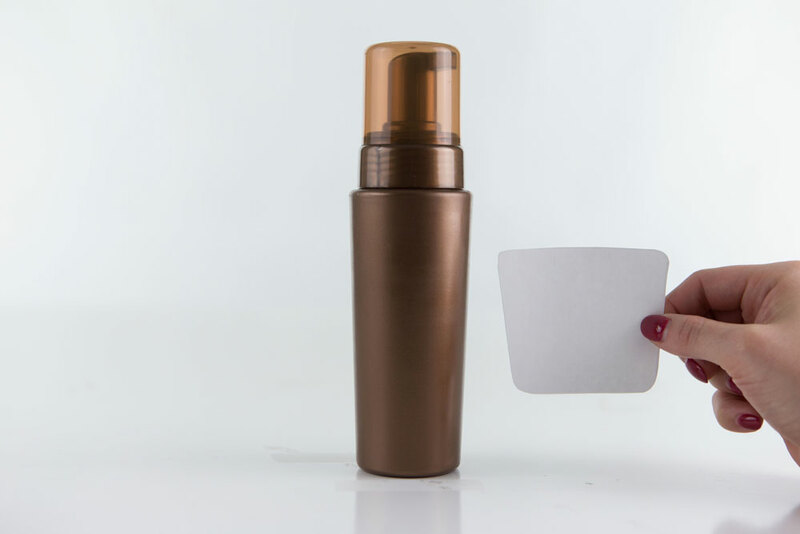 You can label a tapered surface one of three ways: order custom-sized tapered labels, choose a smaller label that won't accentuate the curvature, or get creative with traditional label sizes. Full and half-wrap labels give you the most real estate to make an impact and can indicate high quality to your consumers. To accomplish this with a tapered container, you need to calculate the degree of tapering and then design a custom label to match. To simplify this process, we've created a tapered label generator. 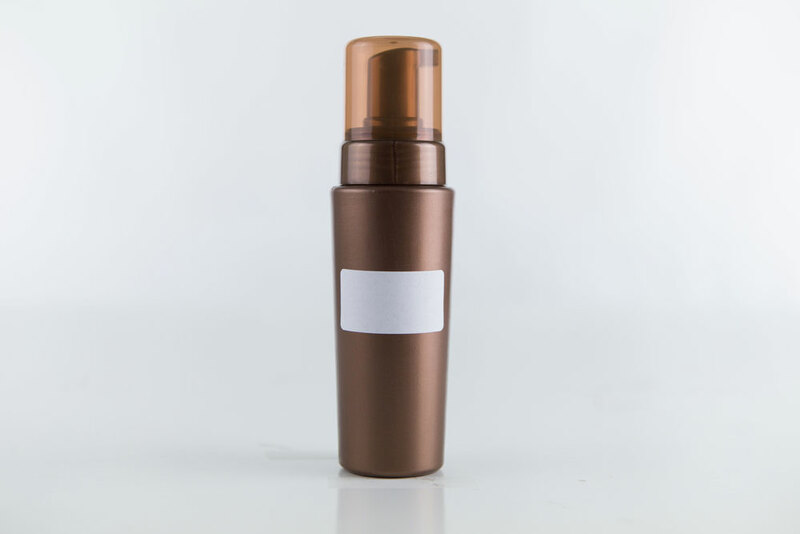 Enter your the widest and smallest circumferences the label will cover, your desired label height, how far around you want the label to wrap, and a few other design preferences. 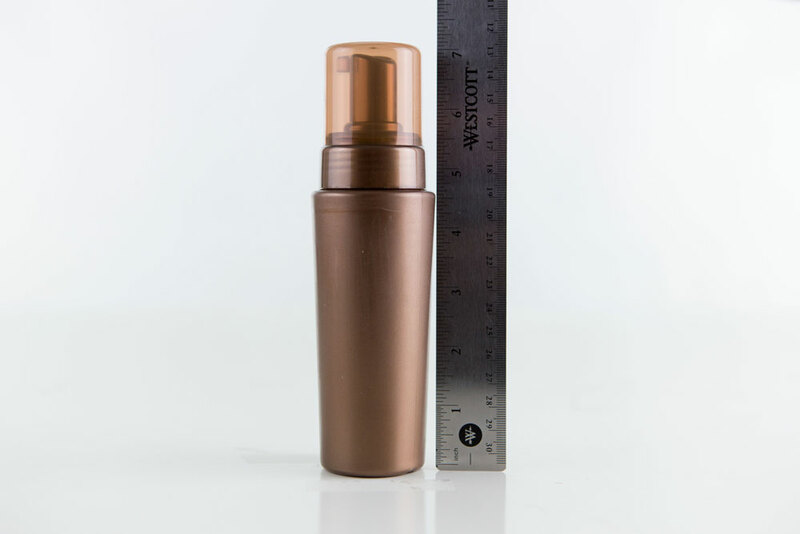 Our handy tool will run the calculations and create a custom label for your tapered container. The only thing left for you to do is decide what material! 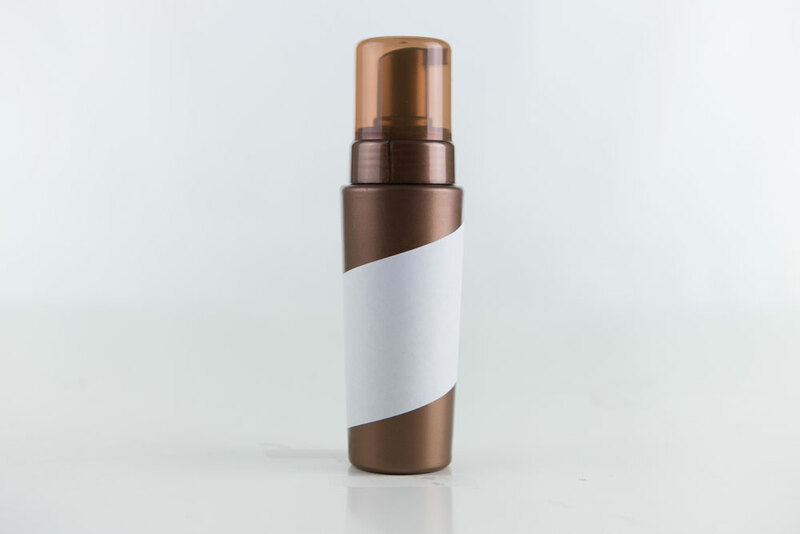 If you'd rather use a smaller label in an effort to camouflage the taper, pick one that doesn't extend too far around your packaging, either vertically or horizontally. Having the label wrap around the full container is what calls attention to the taper, so stick with a label that only spreads across a small area. Not sure how to measure a round object? A regular ruler simply won't do. You'll need a flexible one! Download our printable ruler to get accurate measurements. If you want to complement your unique packaging, go with a unique label. Try a different arrangement, placement, shape, or direction and see if you like the results. There's no harm in trying! Forget labels that crease, fold, or buckle under pressure. From tapered labels to traditional labels and everything in between, we're here to make the process easier. If you're not sure about any of the steps listed above, give us a shout online or call 1-888-575-2235 and we can find a solution together. Check out our other label generator tools for additional ways to make business easier. Submit your idea for an article and you may be featured in our Learning Center or blog. Fonts not saving correctly? Follow these steps for embedding fonts in Microsoft Word so they display correctly across different devices. Using PayPal® for your online transactions? Learn how to save time, tape, and money with this PayPal shipping guide. Find answers to some common FAQs related to mail merge and step out how to use it in Maestro Label Designer and Microsoft Word. "Online labels has been great to work with. No pressure sales, easy on access, variety of color, size and material. Fast turnaround once order is placed. I've been a customer for years and plan on continuing. "